The best travel transport must offer comfortable riding experience, smooth journey and healthy body, which must rely on advanced science and technology. Intelligent two-wheel electric self-balancing scooter is the typical example, especially Fosjoas electric scooters. They have many different scooter types and can satisfy travel needs from all people. What is more, they not only facilitate people’s life, but also strengthen their body. Besides Fosjoas K2 and K5 standing up scooters, other electric scooters keep balanced by adopted aerospace attitude control theory, fuzzy software algorithm and gyroscope system. Inclining body forward or backward will speed Fosjoas electric scooters up or slow them down. Turning body to left or right will change the direction. Fosjoas electric scooters are able to count riders’ intention according to their body gravity. Therefore, it is very easy to ride Fosjoas electric scooters. They can be used for commute, travel or exercise. If people use them as commute transports or daily transports, the time on road will be greatly saved. During riding, the body is always moving, which is helpful to exercise every muscle of body. Meanwhile, Fosjoas electric scooters are good tools for both short-distance and long-distance travels, especial K2, K5 standing up electric scooters and U3 SUV scooter. 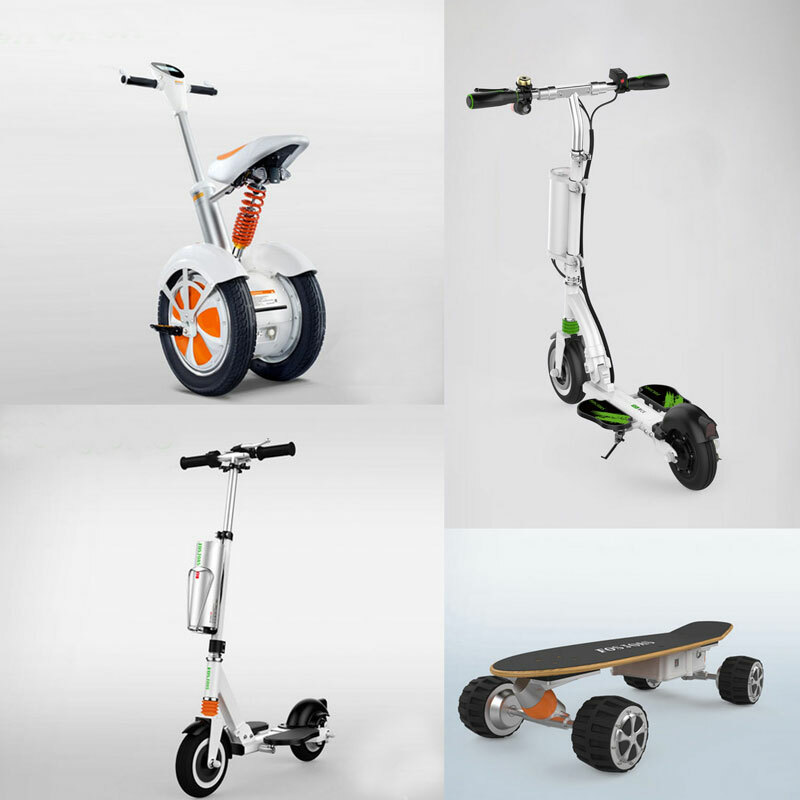 These three scooters are designed for travels, because they satisfy the need of long range and have strong adaptability to difficult road conditions. According to wheel design of Fosjoas electric scooters, there are single-wheeled scooter, twin-wheeled scooter, two-wheeled scooter and four-wheeled scooter. Generally speaking, single-wheeled and twin-wheeled scooters are quite popular among young people. The elderly people had better choose two-wheeled top electric unicycle, for they provide very stable and comfortable riding experience. The four-wheeled scooter here is K1 motorized skateboard. It is a skateboard that is powered by lithium-ion battery. Whatever age group you are in, there is always a suitable Fosjoas scoter for you.